Hospitality brand Montigo Resorts has launched its maiden cafe at The Star Vista in Buona Vista. The 43-seat Cafe Montigo offers an extensive international menu ranging from local favourites to Western staples. Notable Western fusion items include Pandan Pancakes ($8) topped with coconut ice cream and gula melaka shavings. Its menu - designed by Montigo Resorts' award-winning head chef Ali - also showcases Indonesian cuisine. This includes Ayam Panggang Berempah ($13.50), a grilled spiced chicken dish, and Martabak Manis ($6, above), traditional Indonesian sweet thick pancakes with choices of toppings such as chocolate, cheese, red velvet and pandan. Also go for handcrafted beverages such as the Elderflower Lychee and Honey Lemon Yuzu summer coolers ($7 each), Cafe Montigo's signature Avocado Espresso ($9.50), the Salted Caramel Speculoos Shake ($9), as well as the Sea Salt Caramel ($9) and Cocoa 76 Ice Blended ($9.50) drinks. The cafe also serves all-day breakfast on Sundays. The tallest building in Singapore, the 290m Tanjong Pagar Centre, is home to the latest Imperial Treasure Fine Teochew Cuisine outlet. The 148-seat restaurant has seven private rooms, the largest of which can accommodate up to 24 people. 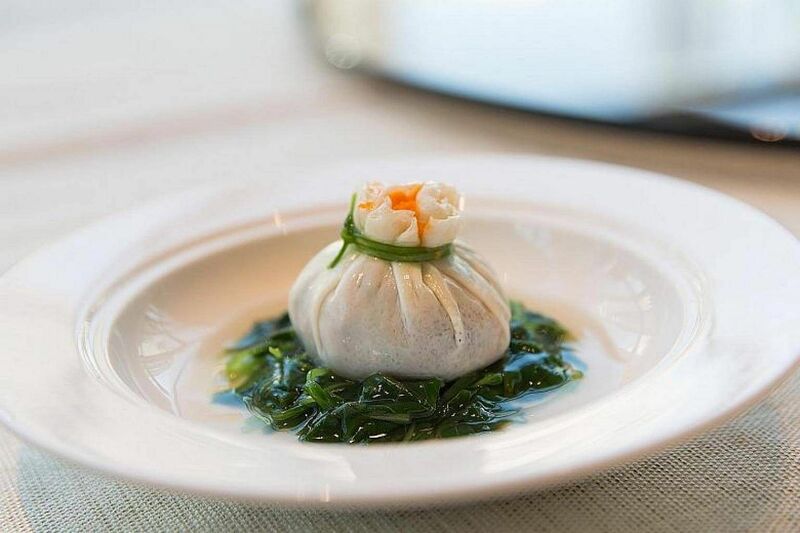 Among its signature dishes are Three Kinds of Marinated (meat) Combination in Teochew Style (from $32++); Diced Abalone & Chicken Wrapped with Egg White ($28++ each, above); and Chilled Flower Crab in Teochew Style (seasonal price), a classic Teochew dish using imported flower crabs from the coast of Guangdong, seasoned with black vinegar and ginger, and lightly steamed before being chilled. Other dishes include Stewed Pomfret Fillet With Salted Vegetables & Tomatoes, Braised Wagyu Veal Cheek With Brown Sauce ($18++), Baked Live Boston Lobster With Dried Fish In gravy ($15++/100g) and Pan-Fried Intestine Stuffed With Glutinous Rice ($16++). Set menus, from $98++ to $178++ a person, are also available. Eat to your heart's content and then burn away all those calories at the 26,000 sq ft Orient Palace - a one-stop destination for dining, spa, wellness therapy and live entertainment at Furama Riverfront hotel. The restaurant section serves Nanyang-style cuisine and comprises a 180-seat main dining area and five VIP rooms with 10 seats each. Each dish is cooked to order. For example, the Traditional Charcoal Roasted Crispy Suckling Pig ($258+ for a whole pig, $138+ for half a pig and $68+ for a quarter; one day's advance order) is charcoal-roasted. The Braised Whole 24-Head Middle Eastern Dried Abalone With Mushroom And Vegetables ($88) requires dried abalone to be first soaked in water for a day and then braised for at least 48 hours. 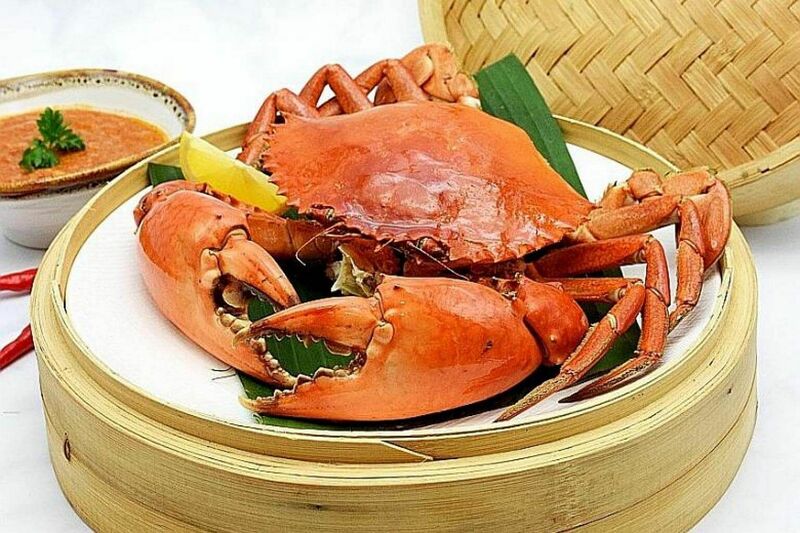 The Nanyang Steamed Crab With Chilli Dip ($8.80/100g, above) features whole Sri Lankan mud crabs and deep-fried mantou. Crab aficionados can also go with the Black Pepper Crab (same price). Other highlights include the Premium Dragon Rib Bak Kut Teh ($48) and the Giant Grouper Porridge (from $16.80). As part of its grand opening promotion, the restaurant is offering its La Mian With Braised Whole 24-Head Middle Eastern Dried Abalone (dry) at $58 (usual price $98) till Nov 30.